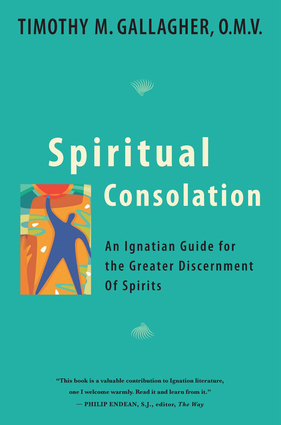 The third volume in the acclaimed and best-selling Ignatian Trilogy, by international speaker and retreat leader, Fr. Timothy M. Gallagher. In Spiritual Consolation, Fr. Gallagher introduces us to the teachings of Ignatius of Loyola through the use of real-life examples and principles from Ignatius's Second Rules for discernment. Fr. Gallagher, author of The Discernment of Spirits and The Examen Prayer, shows how all of us, especially those with busy religious lives, can learn to listen to and follow God's leading.